I used to watch a lot of rom-coms, but as I get older I get really annoyed with vapid movies that throw random characters and just wishing that they somehow gel together in some kind of charming storylines. Unfortunately, The Exes (Les Ex) fall into this category. The movie opens with seemingly unrelated characters – all of them have something in common, having been impacted either positively or negatively by their exes. 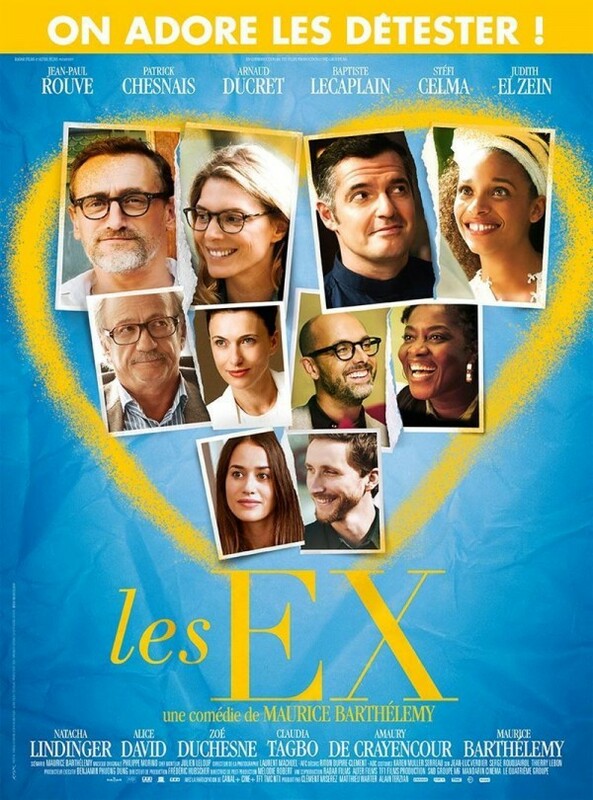 There’s Audrey (Judith El Zein), a radio DJ, Laurent (Arnaud Ducret) – a priest who used to date Julie (Stéfi Celma), who is about to get married to Hector (Amaury de Crayencour). Then, there’s also Antoine (Jean-Paul Rouve), a psychologist and a brother-in-law of Didier (Patrick Chesnais), a divorce judge, who is also having issues with his wife, Caroline (Natacha Lindinger). A connecting character through these weird character assortment is Greg (Baptiste Lecaplain) – a Taxi driver with his bulldog, Jean-Claude. The large number of characters make it difficult to create a connection with any of them, except with Greg and his bulldog. It may work with a miniseries or a TV series, but in a two-hour movie, everything seems contrived and shallow. It seems like they want to emulate something like Love, Actually when everything makes sense at the end – in this case, everyone seems so forcibly connected for no apparent reasons. So, alas, this one is a dud selection from this year’s Alliance Française French Film Festival. It still has its charms from time to time but it’s like gliding through thin air. I wish I would love it more, but I’ve had enough of vapid films.